The entrance to the Lake Mohawk German Christmas Market, at the Lake Mohawk Boardwalk. 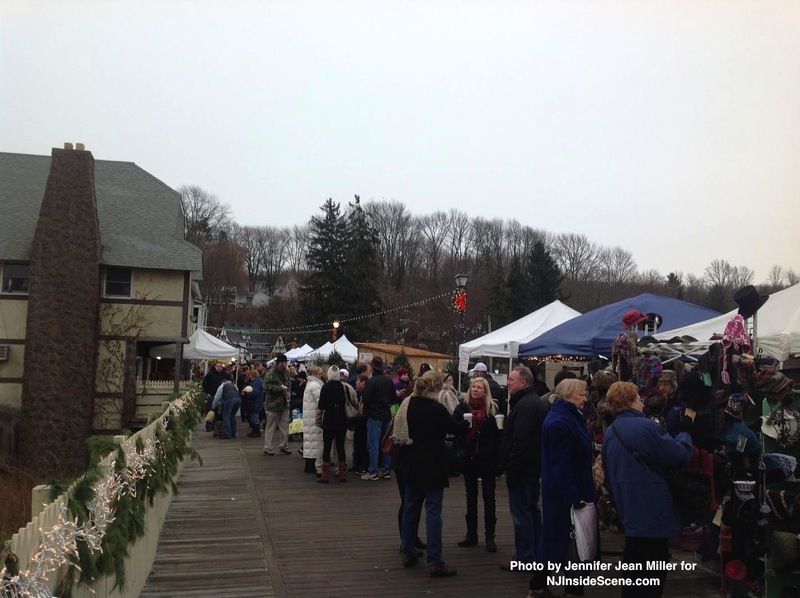 SPARTA – What has now become an annual beloved tradition, the Lake Mohawk German Christmas Market was held this past weekend, Sat., Dec. 7, and Sun., Dec. 8. 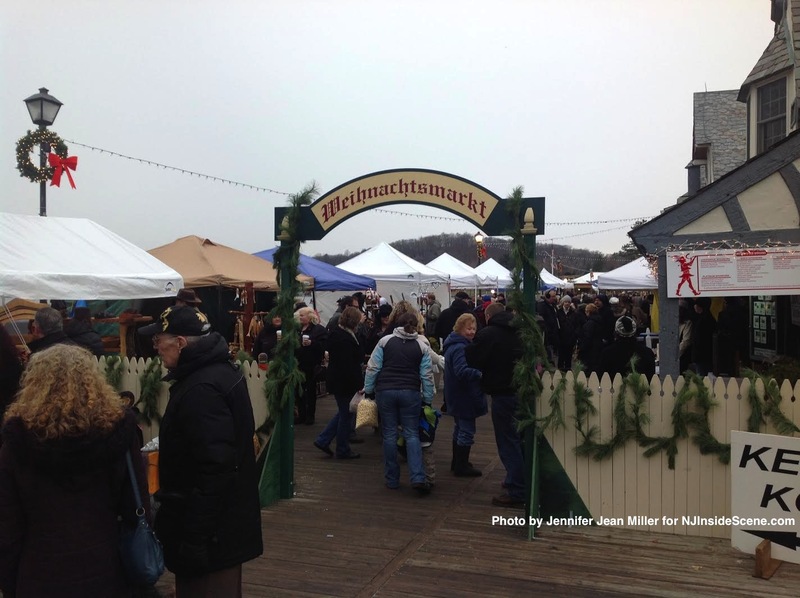 Thousands over the weekend made their way to the Lake Mohawk Plaza to enjoy German-style food, drink, and to purchase seasonal items, crafts, and even Christmas trees. Wood carving, and other demonstrations of the like, took place. The market was made possible between the Lake Mohawk Country Club and Sparta Township Economic Development Partnership. Live Entertainment was also on the agenda with the High Point Harmonizers, Morris Hills Musikanaten, Vernon High School Quartets, No Strings A Capella, Cameo Productions, Centre for Dance Artistry, Sparta High School Honors Chorus, Vernon Brass Choir, Biryukov Academy, German Language School, Sparta High School German Students, Dr. Zither, Almost Ghosts, Children’s Chorus of Sussex County/SCARC, Morning Door, Bill Wright & The Broken Hand Man Band, Lenape High School German Club, and the Pope John Chorus, on the roster, playing in various venues (the Mohawk Room, on Beach 1, and at the St. Moritz Bar & Grill). “It was a really a successful market this year,” said Sara Megletti of PB&J Stores, who is a vendor at the event annually. For Megletti, it has been a happening that she has always done well at as a vendor. She noted that collectively, the vendors surrounding her in the Lake Mohawk Country Club Ballroom that she had spoken to agreed with her. While the market gives a boost to the vendors, it also helps local charities. One of the founders of the event, Karin Meyer, started the German Christmas Market in Sparta for the first time in 2001, to bring the community together for shopping and fun, as is done in her native country of Germany. “Weihnachtsmarkt” is the German word for the name of the Christmas Market, which usually marks Advent, or the start of the Christmas Season. These markets tend to run in Germany and Austria during this time, and offer traditional fare such as Bratwurst (German Sausage) and Glühwein, which is a hot mulled wine. There was a Bräu Tent, or beer or brew tent, where these German items could be purchased and enjoyed, during the market. Some other gastronomic specialties were there, such as the beloved kettle corn, cooked on the spot, where many line up for their bag. Also, hot pretzels, Linzer Tarts, Gingerbread, and steaming cups of cocoa were other things attendees could buy, to warm up from the cold, as well as warm their spirits. Attendees mingle on the Boardwalk during the Christmas Market, as snow begins to fall. In winter, and in holiday fashion, some snow flurries began to fall on the last day and last few hours of the market, further creating a wintry whimsical wonderland atmosphere. Proceeds raised from the German Christmas Market have helped such charities as the United Way, Domestic Abuse Services Inc. (DASI), and the Sparta Schools, including the German Language Departments. Throughout the weekend, even only a couple of hours before the event end, the adjacent parking lot to the Lake Mohawk Country Club, was full almost to capacity, with cars spilling onto West Shore Trail and on other nearby streets, such as Indian Trail. One of the newest additions was a park and ride, with shuttles from the Blue Heron Park and Ride by Laddey Clark & Ryan, and the Sparta Middle School. Something new for this past year was the Christmas Crawl Discount Shopping Card, a card available for purchase that supported charities, which the Christmas Market benefitted. The card at a cost of $10, offered shoppers the opportunity to shop with vendors and eat at restaurants in the Lake Mohawk Plaza as well, for deeply discounted prices. The vendors and organizations were plenty at this most recent market, with more that have participated than in the past – the event continues to grow annually in size in terms of vendors and attendees. There were merchants along the Boardwalk, as well as in the White Deer Plaza. Vendors also gathered in the Elks Lodge, and on two floors of the Lake Mohawk Country Club. This year’s corporate sponsors were: Bayer HealthCare, Newton Medical Center, Eastern Propane, and Lake Mohawk Country Club. Platinum Sponsors included: Randolph Foreign & Domestic Auto Repair, Custom Wood Furniture Inc., Beach 4 Lake Mohawk, and Anderson-Kelly Associates. Gold Sponsors for the 2013 market were: Lakeland Bank (Sparta), Laddey Clark & Ryan, C3 Workplace, Frank Kane, MD, Dr Stephen Candio, DDS (& Almost Ghosts), Greco Landscaping, Weichert Realtors (Sparta), Reinauer Transportation, Dean Reinauer & Tom Murray (Sparta), and Sussex Bank (Sparta). Optimal Health Chiropractic Center, Coldwell Banker (Sparta), Sparta Discount Tire, Bernd Hefele Law, First Hope Bank (Sparta) and Golden Castle Jewelers were among this year’s Silver Sponsors. Contributors for this year’s market were: Sparta Eye Associates, Burkes Wine & Liquor, Brenda Klumpp, Salon Serendipity, George F. Sweeny Attorney, and Ultima Salon & Spa. According to the group’s website, there were 78 confirmed vendors. They included: Freehand Custom Carvings, Bologna Deli, St. Moritz Grill & Bar, Lake Mohawk Country Club (Glühwein, Bratwurst, Sauerkraut), Cabin Creations by Marina, 1000 Oak Barrels, Northeast Kettle Korn, CCG Collections, Between Friends Antiques, Demca Demonstration, Alpine Confections, Stroopies, Apple Ridge Farm, Second Season Mittens, Rolling Thunder Weather Vanes, Santa Hut, Sunrise Mountain Soap, Sunflower Trading Co., Boy Scouts Troop #82 (Christmas wreaths), Iron Wolf Traders, The Market Place, Augustin’s Waffles, Committee Hut (with German Chocolates) Sparta Kiwanis (Bell ringing), Casey Cluett, DJ, Blue Rock Gourds, Farm at Rainbow’s End, Saint Kateri Knights of Columbus, Saint Kateri Columbian Squires, German Language School of Morris County, Sussex County Arts & Heritage Council, Deutsches Café – Elks Lodge, Casa Mia Pizza & Pastaria, Savour Coffee Shop, Barbara’s Butter Crunch, Bacon Bites, JD Gourmet, Candy Apple Shoppe, Fresh Fudge, Committee Hut, Jusbclause, Lafayette Clayworks, E. Christopher & Sons, Gratkowski Original Art, Nancy’s Handbags, Garden of Life Massage & Yoga Center, Liza J. Smith-Simpson, Chocolaterie, Puppy Dog Tails, PB&J Stores, Patria Pet, Jersey Handbags & Access, Maxwell & Molly’s Pet Boutique, Astrid’s Artscapes, Gifts Galore, Kim O’Hara Clay Designs, Joli Crafts, Back to Wood Wooden Toys, Rimi Studios, Toni Chaplin, Treasures of the Vine, Meineke Ceramics, Newkirk Honey, Blue Monkey, What in the World (SAT), Montana Mountain Soap (SUN), Curly Girlie Pottery, Werner’s Carvings, Carey Lane Accents, Prunier Vecchio Creation, Old Souk Trading Co., and Lake Mohawk Pool. Click the video at the top of the story for some event highlights. 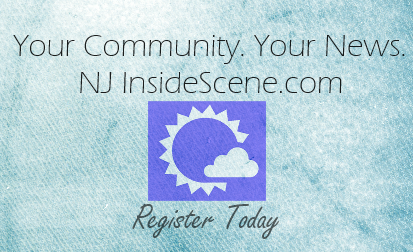 Continue to stay on the “inside scene” with NJInsideScene.com. Click here for our Facebook Page.